A recent legal ruling in favour of a woman whose long-term partner died is likely to improve the pension rights of unmarried couples in the public sector. Denise Brewster, who was denied payments from her late partner’s occupational pension, has successfully argued that she was the victim of “serious discrimination”. Ms Brewster and Lenny McMullan, from Northern Ireland, lived together for ten years and owned their own home. When he died suddenly in 2009 they had just become engaged. Mr McMullan worked for the Northern Ireland public transport service, Translink and had an occupational pension scheme administered by the Northern Ireland Local Government Officers’ Superannuation Committee (NILGOSC). If they had been married Ms Brewster would have automatically shared the pension that he had built up. But cohabiting partners are only eligible for survivor’s allowances in the same way if a nomination form has been completed, and in this instance it hadn’t been. The unanimous ruling by five Supreme Court judges could benefit large numbers of public sector workers. Nurses, teachers, civil servants, police and fire officers all have to fill in a nomination form if they want their partners to share in their pension if they die. Other public sector schemes could change their rules so unmarried couples automatically benefit from survivor’s pensions without being opted in. They would still have to prove that, as a couple, they had been together for two years and were financially interdependent, for example by having a joint bank account. However, it is still unclear whether this would lead to any retrospective change in the rules. This is likely to be dependent on another court hearing. 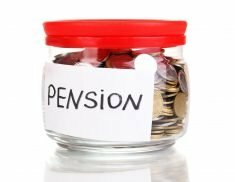 The lesson is, if you are currently cohabiting and work in the public sector, is to make sure a nomination form has been completed to be certain that you get you full pension rights. For help and advice on any aspect of pensions, contact the team here at Hartsfield.